Have a knack for naming animals? 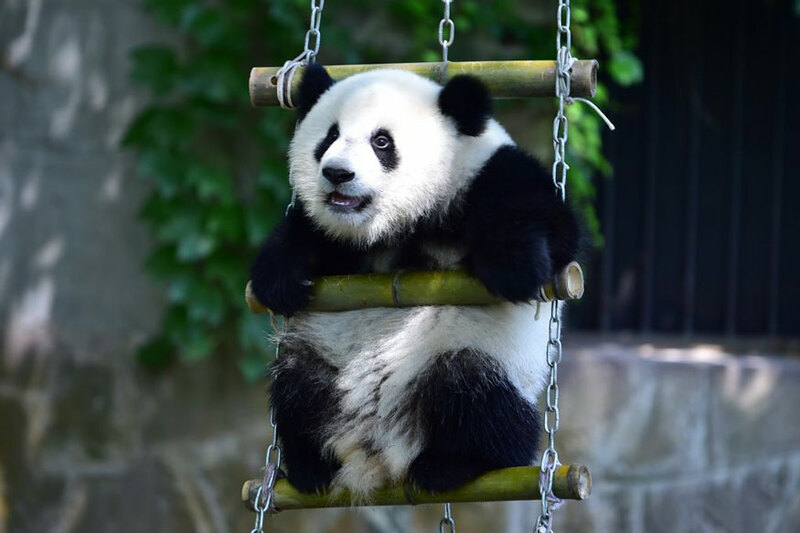 A Japanese zoo is inviting the public to name its newest family member, a baby giant panda that recently made her public debut this month. Born at 10:32 pm on August 14 at Adventure World in Shirahama, Wakayama Prefecture in Japan, the baby is the smallest of all giant pandas born at the park, weighing in at 75g at birth. Too small to drink from her mother Rauhin's breast, the baby had to be fed breast milk from a pump, and was kept in an incubator but regularly returned to her mother. Her weight and body temperature have stabilized, and the pattern of her black and white fur has emerged. She is expected to open her eyes in the coming weeks. Her father Eimei, 26, is the oldest male panda to have mated naturally while in captivity. The world is invited to name the baby panda online or at the park. Postcard submissions will also be accepted. The deadline is November 16, 2018. Online submissions in English can be made at https://ift.tt/2IvyE0B.